Happy new year! For those of us lucky enough to get some time off over Christmas the 6am alarm was quite a shock to the system this morning. But here at The Wedding Gallery it’s right back into the thick of things. We’re looking forward to the year ahead, kicking off with the Knebworth Barns wedding show this weekend. 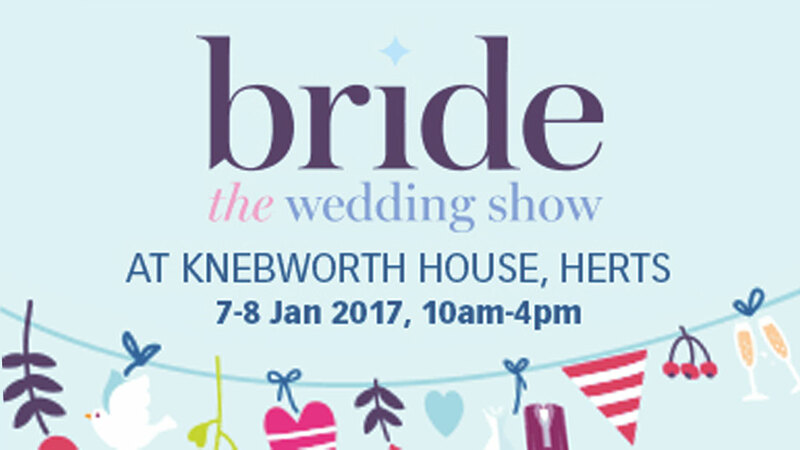 We are really excited to be part of The Bride wedding show at Knebworth Barns, and can’t wait to show off our wonderful new Spring 17 collections! What better way to shake off the January blues than to come on down and have a fantastic few hours getting inspired for your wedding. We have some great offers available to brides who book appointments with us at the show. Not only that, there is also a fitting room available for you to try on any dresses that make your heart flutter! Why visit a wedding show? A wedding show can sometimes feel a little overwhelming, with so much to look at and take in. However, it’s a great source of inspiration and can really help confirm some of your ideas that you perhaps have only seen online. Like us, many suppliers have great offers available exclusively to attendees, and you can get a real understanding of the services they offer. It’s also a great opportunity to meet your suppliers and make sure that you’re going to work well together. It’s important that they share your vision! It can be difficult to know where to start, and a wedding show is a great way to dip your toe into the wedding planning waters.